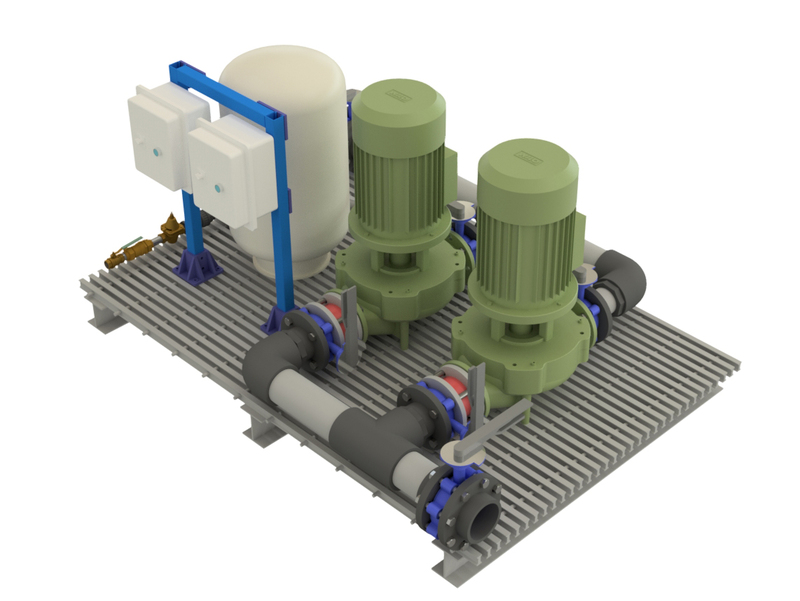 Delta Hydronics designs, builds and distributes engineered chiller and boiler heat transfer skid packages for single point life support applications, customer installations and export markets. All heat transfer skids are preplumbed on FRP grating with 4” fiberglass “I” beam supports, SCH 80 CPVC true union ball valves and/or 316SS lug type disc valves, 316 SS mounting hardware, non-corrosive piping materials and supports, NEMA 4 electrical enclosures, and all necessary pressure and temperature gauges for field calibration and troubleshooting. 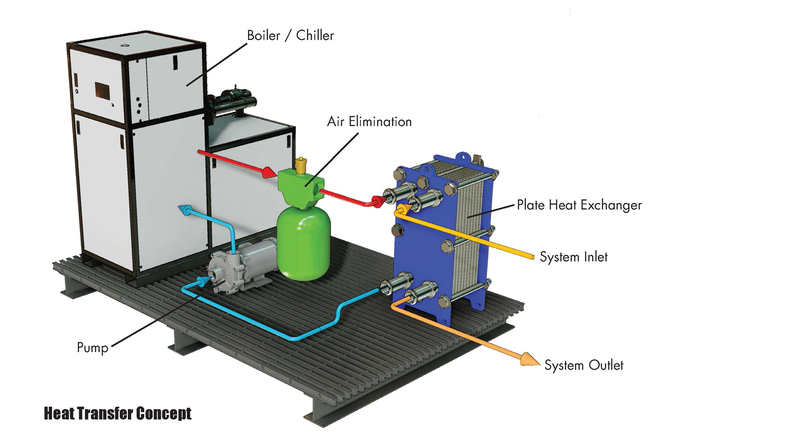 The Boiler/HEX skid schematic illustrated above shows a plate heating application and major system components. Each skid system is constructed with the finest materials and quality control tested including a four-hour 60 PSI leak test and point to point electrical check. 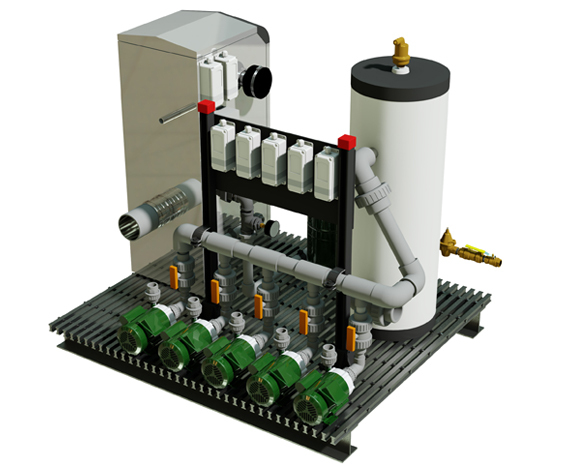 Please visit our catalog section for complete bill of materials for the various chiller and boiler packages. 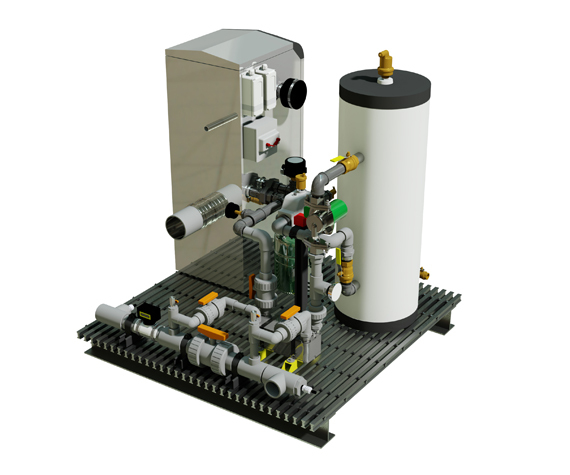 Delta will provide a complete engineering and sizing service based on you specific heating or cooling requirements. For engineering assistance please CALL us at (727) 861-2421 or click on the QUOTE button and complete the on-line technical data sheet so we can get started on your project..